Senior research scientist, with genetic epidemiology and environmental health background, investigating genetic and environmental factors of complex traits, in particular women's health conditions with substantial public health impact. She is also a visiting fellow at Nuffield Department of Gynaecology and Obstetrics, John Radcliffe Hospital. I. Lead analyst of the latest International Endometriosis Genomics Consortium genome-wide association analysis to elucidate genetic susceptibility variants for endometriosis and related complex traits/diseases. II. Investigation of phenotypic and shared genetic associations between endometriosis and other complex disease including obesity-related traits, gynaecological disorders, chronic pain conditions, endocrinological disease using various resources including the UK Biobank. III. Design and maintenance of the Endometriosis Oxford (ENDOX) study, an on-going prospective study of women undergoing a laparoscopy at the Oxford Endometriosis CaRe centre. IV. Investigation of variability in transcriptomic (RNAseq, miRNA, mRNA) and epigenomic (DNA methylation) profiles of eutopic/ectopic endometrium and fat tissues to understand the underlying functional roles of the genetic risk factors of endometriosis and related co-morbidities. V. Development of global consensus on standardized clinical data collection and standard operating protocols for biological sample collection in endometriosis research under the WERF Endometriosis Phenome and Biobanking Harmonization Project (EPHect) www.endometriosisfoundation.org/ephect. 1. Rahmioglu N*, Drong AW*, Lockstone H, Tapmeier T, Hellner K, Saare M, Laisk-Podar T, Dew C, Tough E, Nicholson G, Peters M, Morris AP, Lindgren CM, Becker CM, Zondervan KT. Variability of genome-wide DNA methylation and mRNA expression profiles in endometrium, endometriotic disease and adipose tissues: implications for reproductive and endocrine disease studies. Epigenetics. Epub 2017 Nov 3. 2. Rahmioglu N*, Uimari O*, Nyholt DR, Vincent K, Missmer SA, Becker C, Morris AP, Montgomery GW, Zondervan KT. Genome-wide genetic analyses highlight MAPK signalling in the pathogenesis of endometriosis. Hum Reprod.2017 Feb 9; 1-14. 3.Sapkota Y, Steinthorsdottir V, Morris AP, Fassbender A, Rahmioglu N, De Vivo I, Buring JE, et al. Meta-analysis identifies five novel loci associated with endometriosis highlighting key genes involved in hormone metabolism. Nat Commun. 2017 May 24;8:15539. 4. Zondervan KT, Rahmioglu N, Morris AP, Nyholt DR, Montgomery GW, Becker CM, Missmer SA. Beyond Endometriosis Genome-Wide Association Study: From Genomics to Phenomics to the Patient. Semin Reprod Med. Epub 2016 Aug 11. 5. Rahmioglu N, Montgomery GW, Zondervan KT. Genetics of endometriosis. Womens Health (Lond). 2015 Aug; doi: 10.2217/whe.15.41. 6. Rahmioglu N, Macgregor S, Drong AW, Hedman ÅK, Harris HR, Randall JC, Prokopenko I; International Endogene Consortium (IEC), The GIANT Consortium, Nyholt DR, Morris AP, Montgomery GW, Missmer SA, Lindgren CM, Zondervan KT. Genome-wide enrichment analysis between endometriosis and obesity-related traits reveals novel susceptibility loci. Hum Mol Genet. 2015 Feb; doi: 10.1093/hmg/ddu516. 10. Rahmioglu N, Nyholt DR, Morris AP, Missmer SA, Montgomery GW, Zondervan KT. Genetic variants underlying risk of endometriosis: insights from meta-analysis of eight genome-wide association and replication datasets. Hum Reprod Update. 2014 Mar 27; doi:10.1093/humupd/dmu015. 11. Rahmioglu N, Missmer SA, Montgomery GW, Zondervan KT. Insights into assessing the genetics of endometriosis. Curr Obstet Gynecol Rep. 2012; 1:124–137. 12. Rahmioglu N, Naci H, Cylus J. 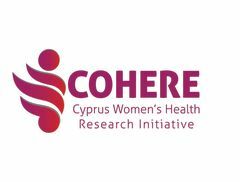 Improving health care services in Northern Cyprus: a call for research and action. Eur J Public Health. 2012 Dec; 22(6):754-755. 13. Rahmioglu N, Heaton J, Clement G, Gill R, Surdulescu G, Hodgkiss D, Smith NW, Ahmadi KR. Genome-wide association study reveals a complex genetic architecture underpinning induced CYP3A4 enzyme activity. Eur J Drug Metab Pharmacokinet. 2012 Sep 4; doi: 10.1007/s13318-012-0103-z. 14. Rahmioglu N, Heaton J, Clement G, Gill R, Surdulescu G, Zlobecka K, Hodgkiss D, Ma Y, Hider RC, Smith NW, Ahmadi KR. Genetic epidemiology of induced CYP3A4 activity. Pharmacogenet Genomics. 2011 Oct; 21(10):642-651. 15. Rahmioglu N, Le Gall G, Philo M, Colquhoun I, Ahmadi KR, Kemsley K. Prediction of variability in CYP3A4 induction through an integrative 1H NMR metabonomics approach. J Proteome Res. 2011 Jun; 10(6):2807-2816. 16. Rahmioglu N, Ahmadi KR. Classical twin design in modern pharmacogenomics studies. Pharmacogenomics. 2010; 11(2):215-226. 17. Rahmioglu N, Andrew T, Cherkas L, Surdulescu G, Swaminathan R, Spector T, Ahmadi KR. Epidemiology and genetic epidemiology of liver function test proteins. PLoS One. 2009; 4(2):e4435. 18. Chambers JC, Zhang W, Sehmi J, Li X, Wass MN, Van der Harst P, Holm H, Sanna S, Kavousi M, Baumeister SE, Coin LJ, Deng G, Gieger C, Heard-Costa NL, Hottenga JJ, Kühnel B, Kumar V, Lagou V, Liang L, Luan J, Vidal PM, Leach IM, O'Reilly PF, Peden JF, Rahmioglu N, Soininen P, Speliotes EK, Yuan X, Thorleifsson G, Alizadeh BZ, Atwood LD, Borrecki IB, Brown MJ, Charoen P, Cucca F, Das D, Geus EJC, Dixon AL, Döring A, Ehret G, Eyjolfsson GI, Farrall M, Forouhi NG, Friedrich N, Goessling W, Gudbjartsson DF, Harris TB, Hartikainen AL, Heath S, Hirschfield GM, Hofman A, Homuth G, Hyppönen E, Janssen HLA, Johnson T, Kangas A, Kema IP, Kühn JP, Lai S, Lathrop M, Lerch MM, Li Y, Liang TJ, Lin JP, Loos RJF, Martin NG, Moffat MF, Montgomery GW, Munroe PB, Musunuru K, Nakamura Y, O'Donnell CJ, Olafsson I, Penninx BW, Pouta A, Prins BP, Prokopenko I, Puls R, Ruokonen A, Savolainen MJ, Schlessinger D, Schouten JNL, Seedorf U, Sen-Chowdhry S, Siminovitch KA, Smit JH, Spector TD, Tan W, Teslovich TM, Tukiainen T, Uitterlinden AG, Van der Klauw MM, Vasan RS, Wallace C, Wallaschofski H, Wichmann HE, Willemsen G, Würtz P, Xu C, Yerges-Armstrong LM, AlcGen Consortium, DIAGRAM+ Study, GIANT Consortium, Global Lipids Genetics Consortium, GOLD Consortium, ICBP, MAGIC, Abecasis GR, Ahmadi KR, Boomsma DI, Caulfield M, Cookson WO, van Duijn CM, Froguel P, Matsuda K, McCarthy MI, Meisinger C, Mooser V, Pietiläinen KH, Schumann G, Snieder H, Sternberg MJE, Stolk RP, Thorsteinsdottir U, Uda M, Waeber M, Wareham NJ, Waterworth DM, Watkins H, Whitfield J, Witteman JCM, Wolffenbuttel BHR, Fox CS, Ala-Korpela M, Stefansson K, Vollenweider P, Völzke H, Schadt EE, Scott J, Järvelin MR, Elliott P, Kooner JS. Genome-wide association study identifies loci influencing concentrations of liver enzymes in plasma. Nat Genet. 2011 Oct; 43(11):1131-1138. 19. Hattis D, Rahmioglu N, Goble R, Verma P, Hartman K, Kozlak M. Quantitative analysis of empirical data on age related susceptibility to carcinogenesis from non-mutagenic carcinogens. Crit Rev Toxicol. 2009; 39(2):97-138. Large-scale meta-analysis highlights the hypothalamic-pituitary-gonadal axis in the genetic regulation of menstrual cycle length.